Although Ethernet technology is still the most popular LAN technology in use today at the desktop, the throughput offered by the 10 and 100 Mbps Ethernet is inadequate for high bandwidth networking applications such as real-time visualisation, high-resolution graphics, multimedia and Web applications. Gigabit Ethernet (GigE) technology provides 1,000 megabits per second (i.e., one gigabit per second) at more reasonable cost than the other technologies of comparable speed and therefore it is a natural upgrade strategy for many legacy Ethernet networks. This paper reports on a case study of a large New Zealand organization focusing on the level of GigE deployment, design, planning and implementation, network performance testing, problems encountered and future plans. 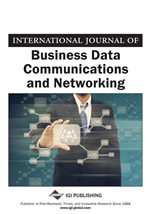 Our findings show the feasibility and practicability of deploying GigE technology in high-speed networking applications such as campus- and corporate-wide local area networks.